SIMUN XVII and the SIMUN club are led by the student-staffed Executive Board. The Executive Board is in charge of leading club meetings, selecting future conferences and selecting delegates. 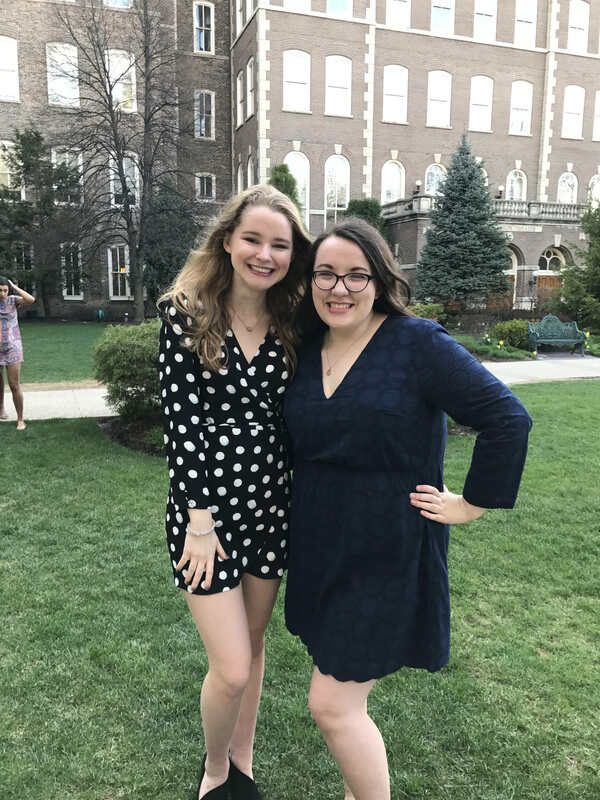 Anne Austin – Anne Austin is a senior at Ignatius, has been a member of SIMUN since freshman year, and is excited to serve on the SIMUN executive board, as well as the Secretary General of the team’s internal training conference. 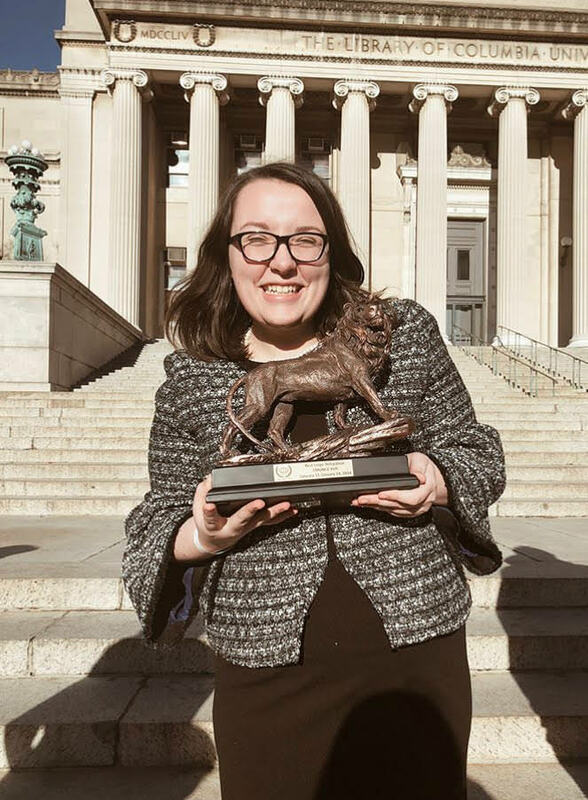 Outside of SIMUN, Annie is the National Development Director of the High School Democrats of America, and has worked for multiple political candidates, like Hillary Clinton, Marie Newman, and currently Lauren Underwood. She loves politics and international relations and looks forward to pursuing a career in public service. She is seen above, holding Shabash the Lion, as well as in the raincoat. Behind her sits Tivas Gupta, likely looking to God for the strength to engage in another political argument with her. We here at exec board hope the RNC-DNC committee can get them at least through the month before we need to hear more. 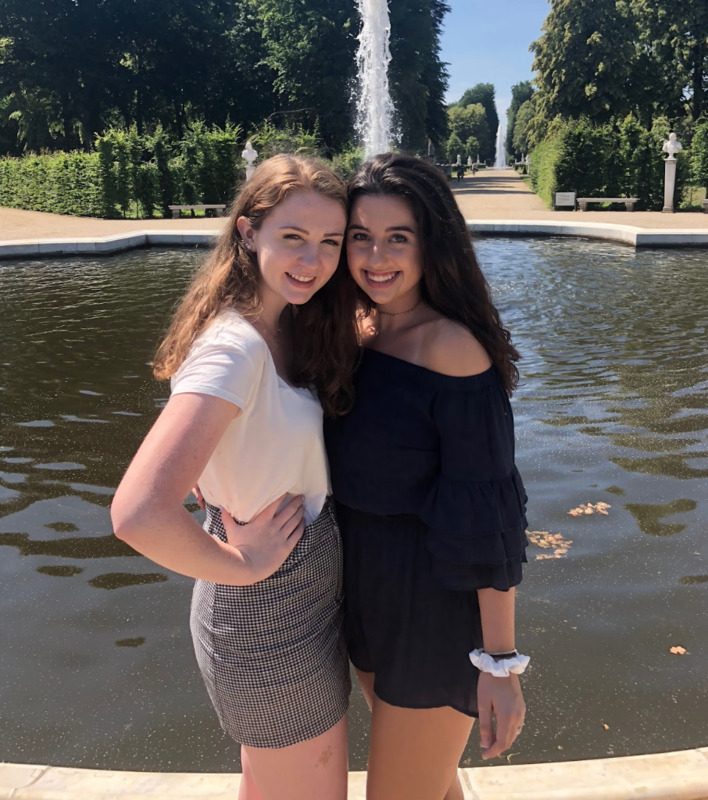 Delaney Coyne – Delaney Coyne is a senior at Saint Ignatius and has been involved in Model UN for all four years. 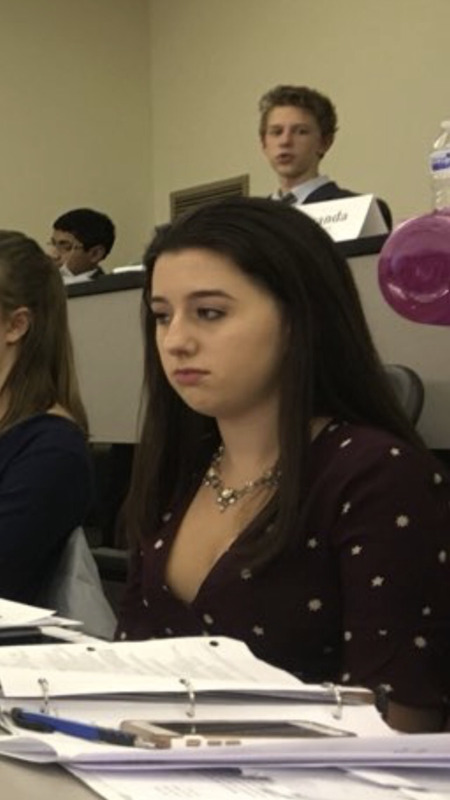 She is the Secretary-General of SIMUN XVII, and will talk to you about how excited she is for this conference at any given opportunity (her friends are getting quite annoyed hearing about it). Outside of MUN, she is on the Voices of Women club, Ambassadors club, and writes poetry to varying degrees of quality. Her true love, however, is taking creative liberty with the rest of exec board’s bios. In college, Delaney plans on studying international relations and philosophy. She’s pictured above, on the right in the first picture, and feels as though her spirit is embodied in the second. 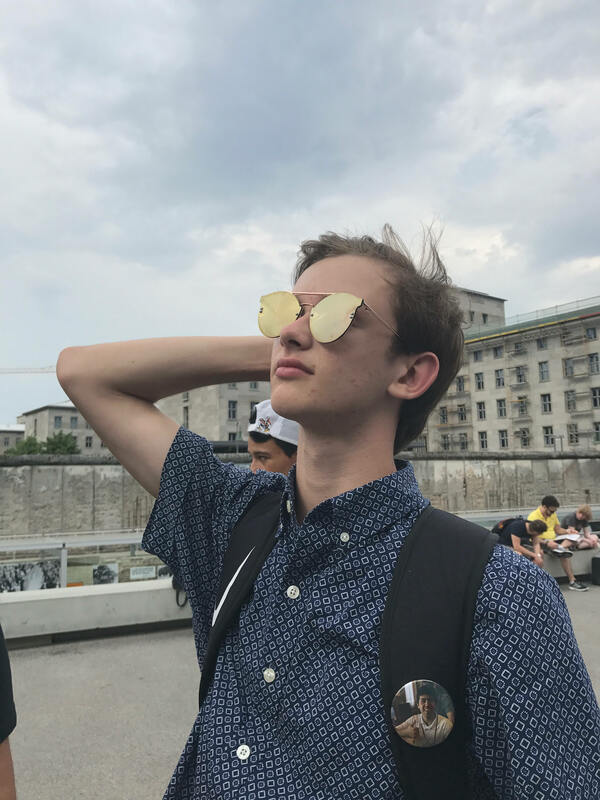 Waltie Fieweger – Walt is a senior at ignatius and is very excited for his third year on the SIMUN team and first year on exec board. Walt is a big MUN guy but he also spends his time playing indoor volleyball and beach volleyball. He’s interested in studying economics and political science in college. His love of dogs and Germany truly shines through in all he does, and what Walt lacks in weight, he makes up for in pure, unadulterated SIMUN team spirit. Walt is pictured above straight stunting, as well as on the left, with his eyes closed. 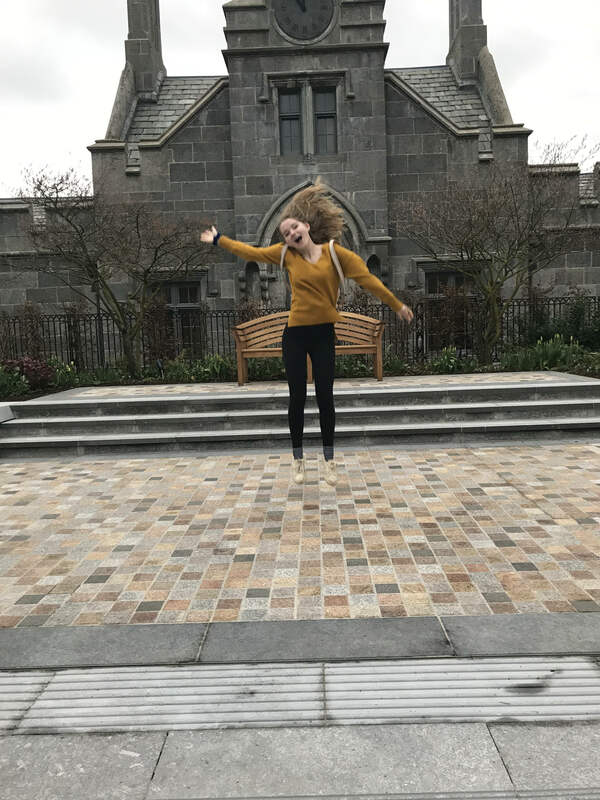 Nora Hayes – Nora is a senior on the SIMUN exec board. When she is not in committee, she can be found golfing, writing articles for the newspaper, and eating with her friends. Nora adores 2000s culture, as well as trying to acquire illegal arms as “props” for her JCC. She is so excited for SIMUN XVII, where she will be charming the Waco Siege JCC: FBI side! She is seen above on the left, as well as jumping for joy, potentially at a new post from @parishilton on Instagram. 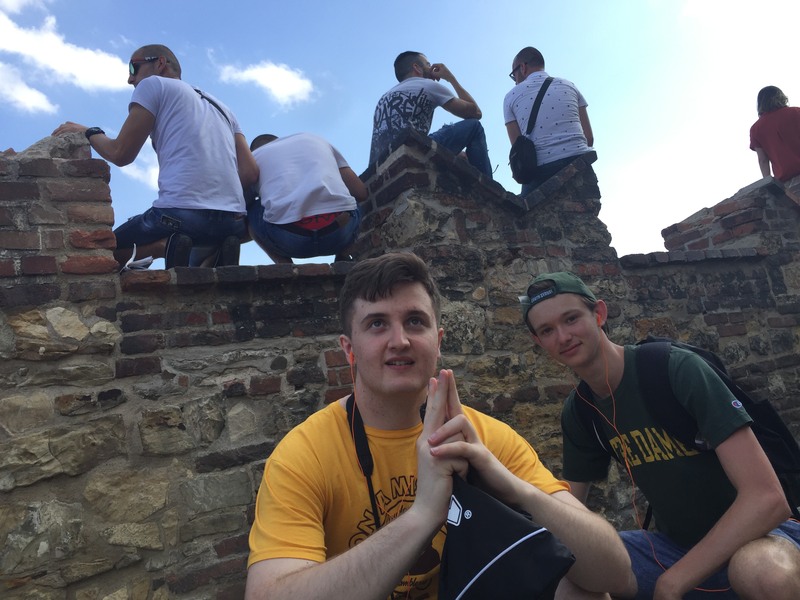 Jason Kinander – Jason Kinander is a junior at Ignatius. He is going on year three of Model UN. 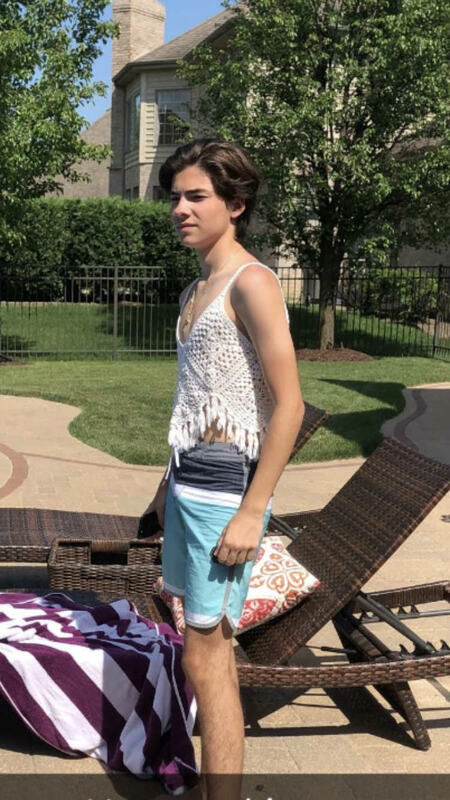 Outside of Model UN, Jason writes for FanSided and SBNation, studies hard, and listens to trap music. 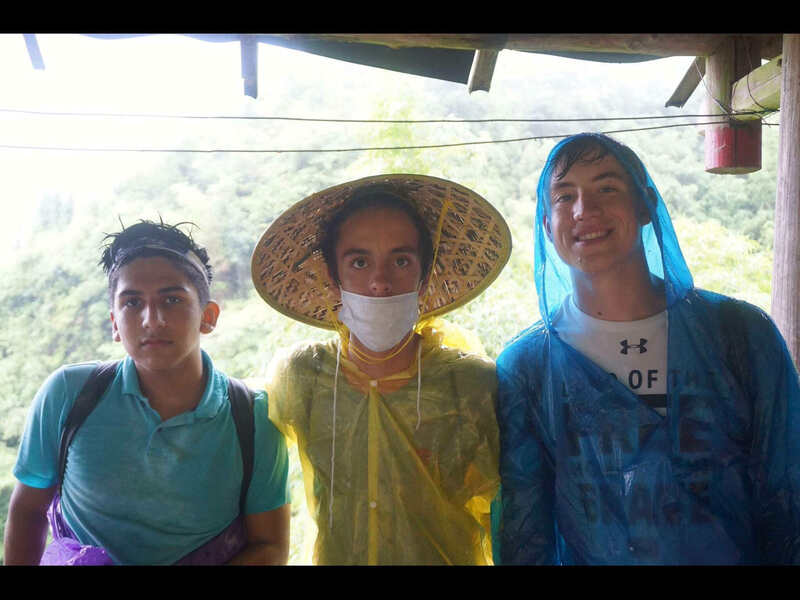 Jason hopes to grow closer to God and improve in Model UN during his junior year. Jason may lead to you asking questions such as, “What’s in that tap water that he’s like that?” Thankfully, he didn’t get arrested in China. If he had, it would have been ALL. OVER. He is pictured above, in the left in the first picture, and on the center in the second (he is not diseased in #2, and wears the mask merely for aesthetic purposes). 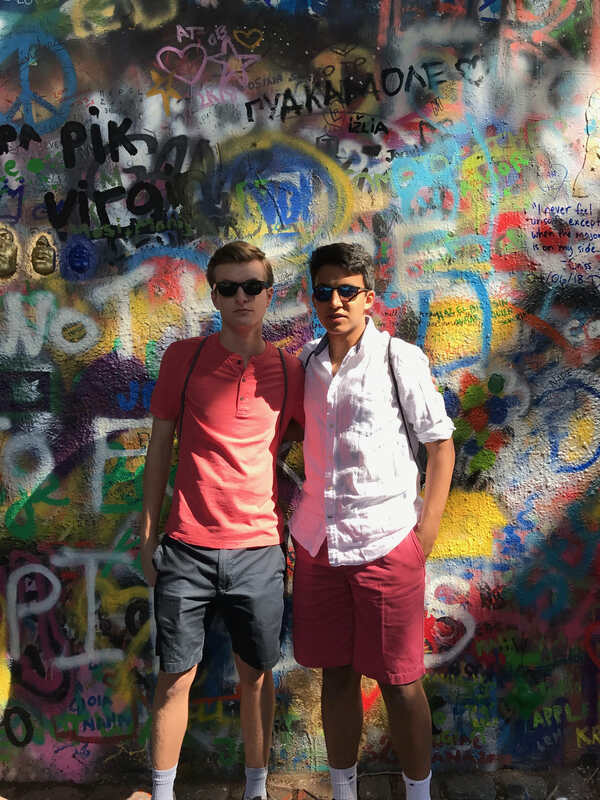 Shea Kinander – Shea Kinander is a junior at Saint Ignatius and has been a member of SIMUN since Freshman year. Outside of MUN, Shea is a member of the French National Honor Society, Wolfpack Ambassadors Club, and he works at a restaurant in Itasca. The boy we lovingly refer to as “Kinander #2″ keeps his twin brother in check, often by a threat to tell mom. 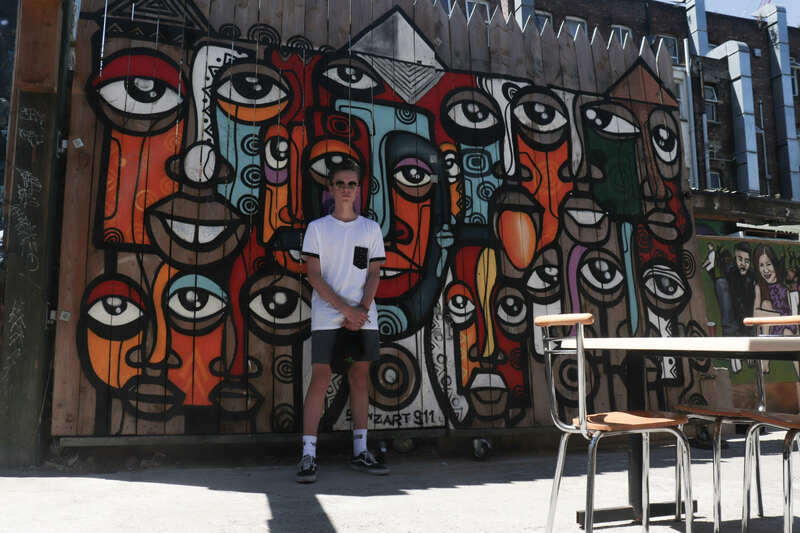 Shea enjoys travel, being a leader, and being a one-of-a-kind individual with a one-of-a-kind passion, and cannot wait to continue his MUN ventures in the next two years! 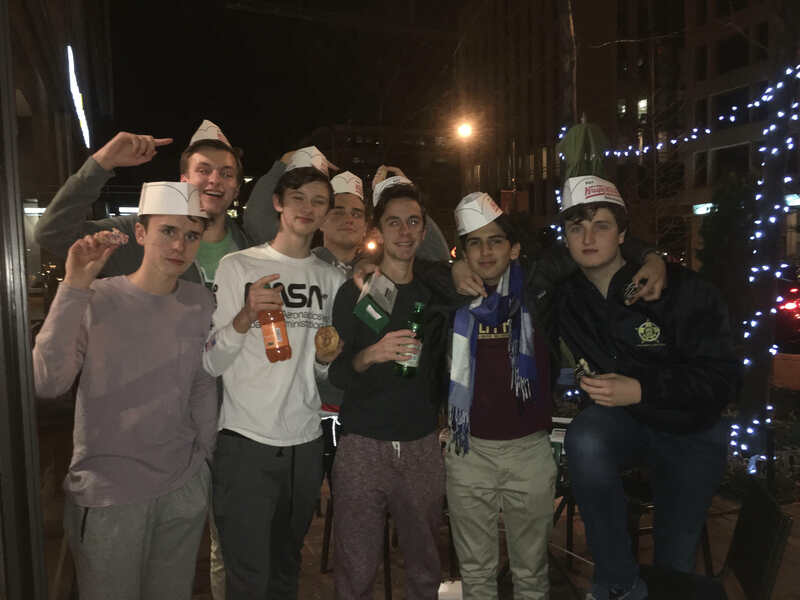 Shea is pictured above, in front of the wall, as well as in the mauve shirt on the left, where he is back at it again at Krispy Kreme. 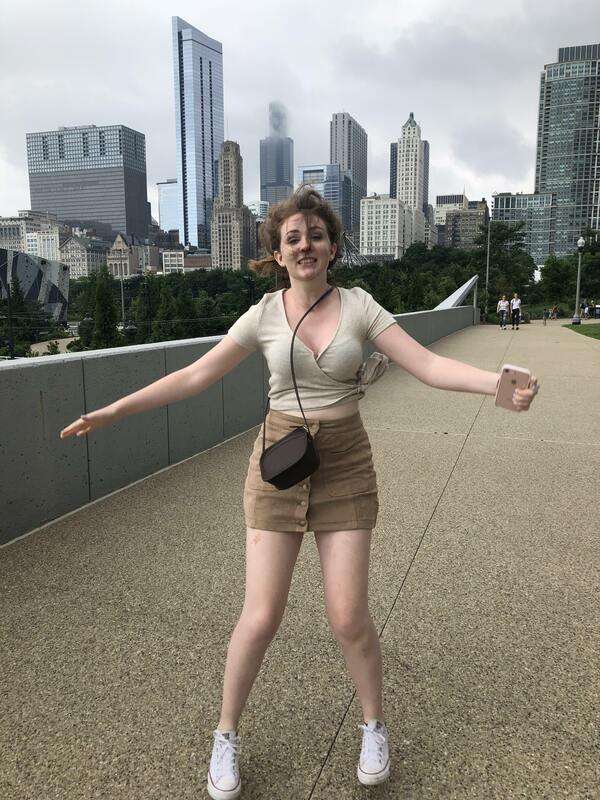 Colleen McBride – Colleen McBride is a senior at Ignatius and has been involved with MUN since her freshman year. 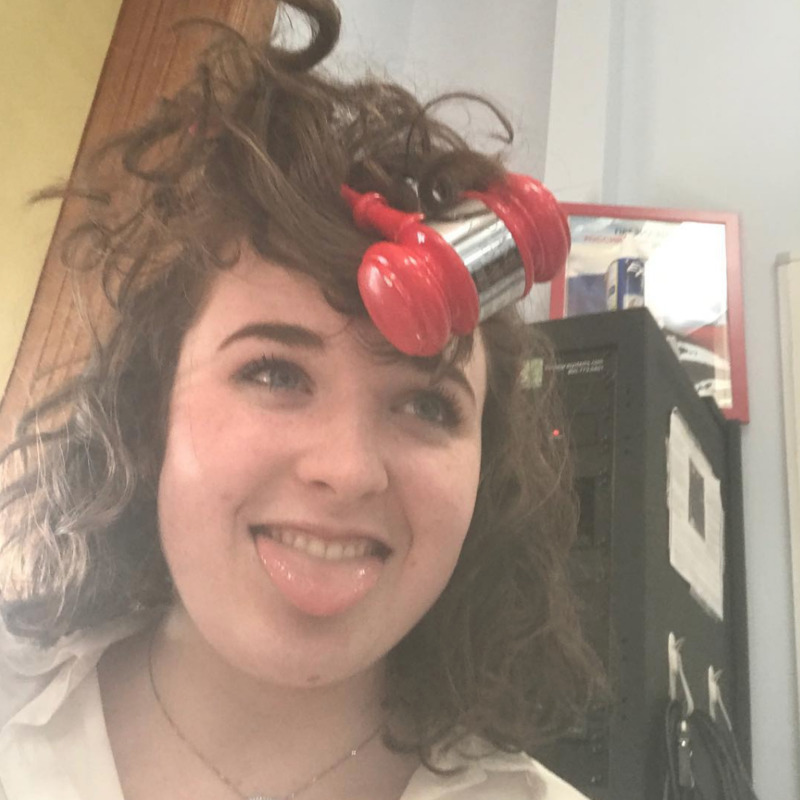 Outside of MUN, Colleen loves music, playing water polo, and counseling summer camp. She also serves on the executive board for Voices of Women and is a member of National Honors Society. 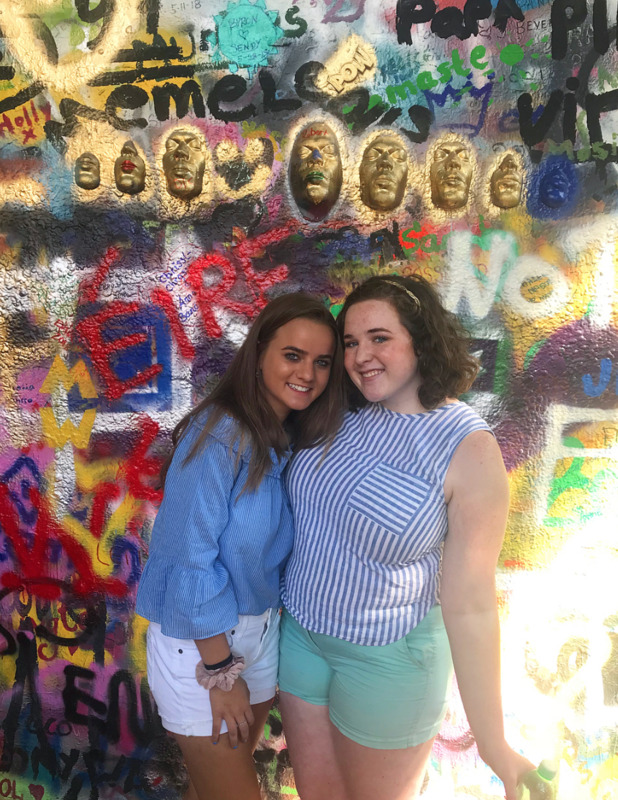 Some of her favorite memories with the team have been traveling to New York, Japan, and Europe with her best friends, even despite being hit by a moped. Serving her first year on the executive board, Colleen is super excited for her last year on SIMUN! After Ignatius, Colleen wishes to major in Rubit studies, and travel the world with her one true love, Pepe the King Prawn. Colleen is pictured above on the left in the first image, as well as doing her best impression of a spaghetti noodle in number two. Through many stints of vegetarianism, she has become familiar enough with pasta to even embody it herself. 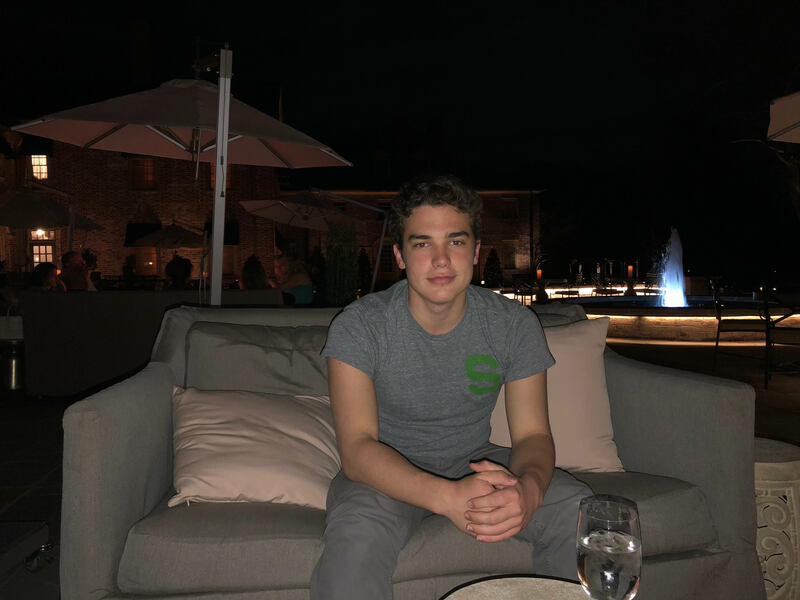 Patrick Milito – Patrick Milito is a senior at Saint Ignatius who has been a part of the SIMUN team since freshman year. Outside of MUN, Patrick is a lineman for the Ignatius Wolfpack Football team and a member of the Ethics Bowl team. If you hear any SIMUN delegate yell, “you can’t say that,” Patrick likely just said something. 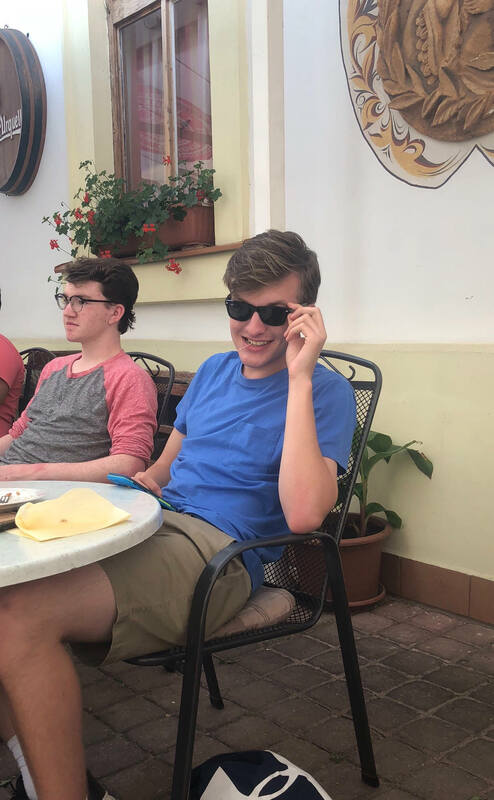 Throughout his time on SIMUN, Pat has used much of his leadership to increase the team’s time spent towards religion, whether it be through leading team prayer or calling us hedonists. Patrick is passionate about football, history and retaking the Holy Land. He also enjoys not emailing his bio to Delaney, then being mad at her when it is not on the website. Please, if you see Patrick, ask him about Scooby Dum, Scooby Doo’s dumb cousin. He is seen above, in front of the River Vltava, as well as “embracing the culture” of the regions he travels to. 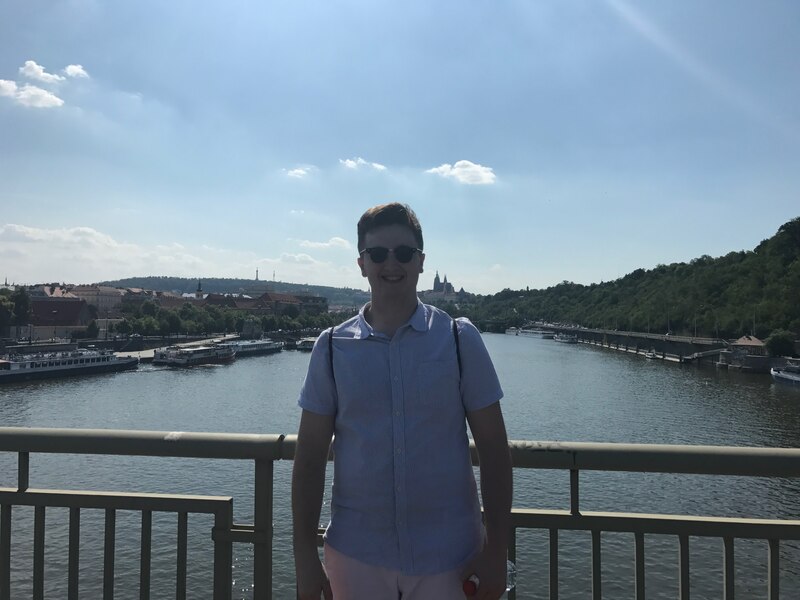 George Benjamin Camillo Xavier Moynihan III – GB Moynihan is a senior at Saint Ignatius and has been a member of SIMUN for 4 years and a member of the Executive Board for 2 years. 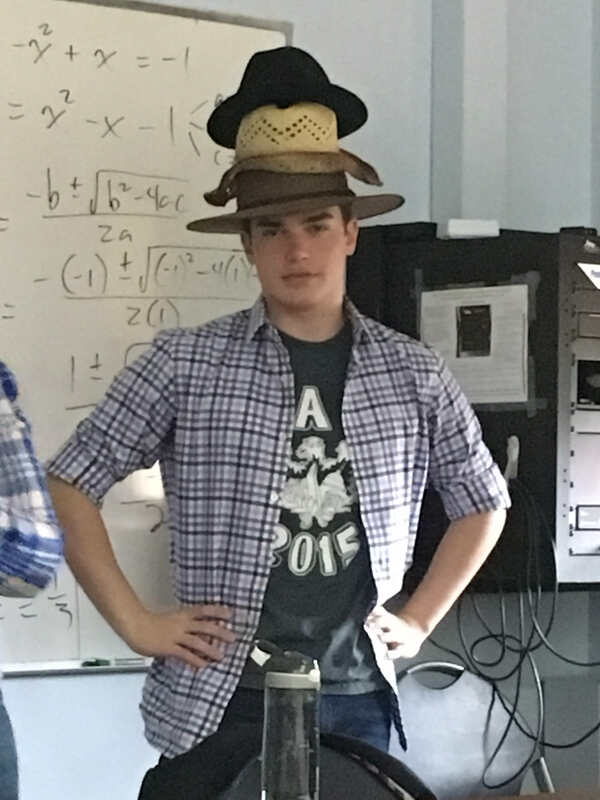 For the past three years, he has been the only fan of his dad jokes, but we hope if he can’t hit a growth spurt, at least his sense of humor can. 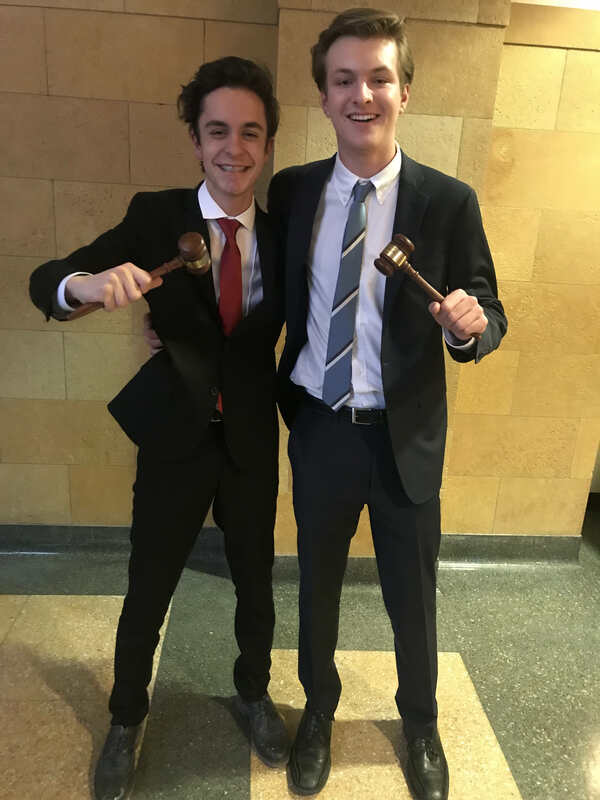 This is GB’s second year as SIMUN XVII’s lovely Director of Simulations and when not doing Model United Nations he can be found kicking for the Saint Ignatius football team, as well as throwing stones from a glass house by calling Delaney uptight. He is seen above, looking like a contestant on the Bachelorette, as well as in ~Western~ Business Attire (ba-dum-tss). 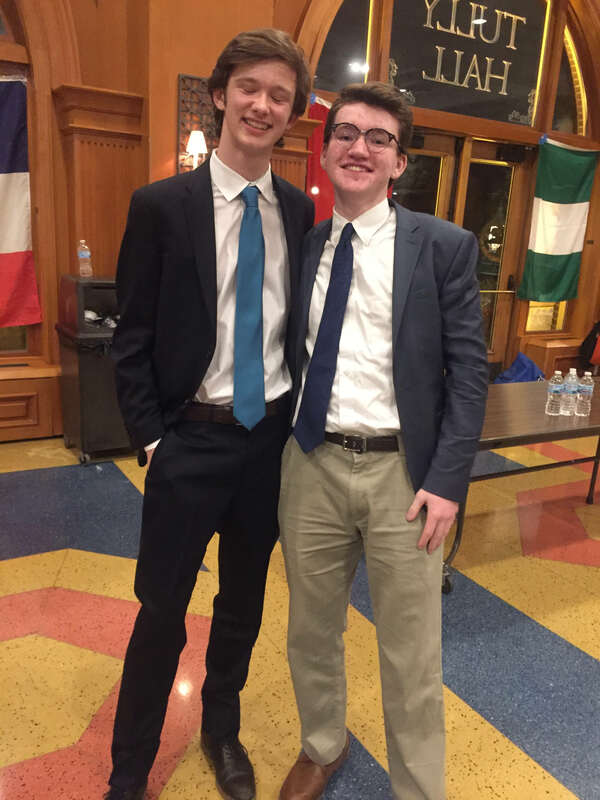 John (2020) Nash – Jack Nash is a junior at Ignatius and has been involved in Model UN for three years. Aside from MUN, he is on the varsity tennis and golf team and is on The National Spanish Honors Society. His love of drama and all things shady has led him to chairing the Ad Hoc committee, and he is so excited to see if you can surprise him with your levels of messiness in this committee. Jack is really looking forward to meeting all of you at SIMUN XVII this year! 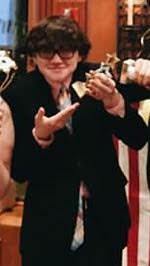 He is pictured above, on the left, as well as looking awfully destructive in his token Ray-Bans. 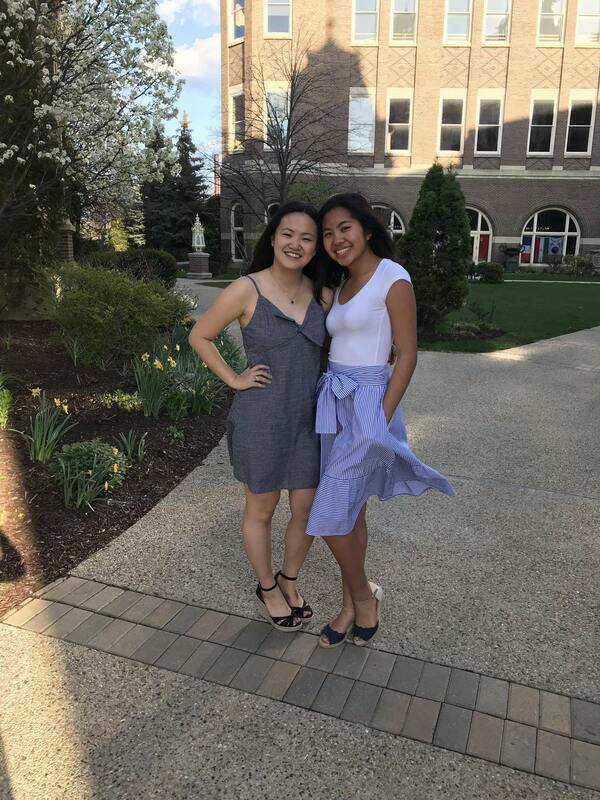 Julia Pangan – Julia Pangan is a senior at Saint Ignatius. This is her third year in Model UN and her second time chairing. She’s super excited to be chairing the AMMTC this year! She is officially the coolest member of exec board. We are all jealous, the rest of us nerds have nothing on her. Aside from SIMUN, she participates in Girls’ Tennis and the Ignatian Pilgrimage Club. Though she may be a bit forgetful from time to time, she can always count on the other 16 exec board members to have her back. Julia enjoys long walks, groovy music, good mangos, and fun pants. 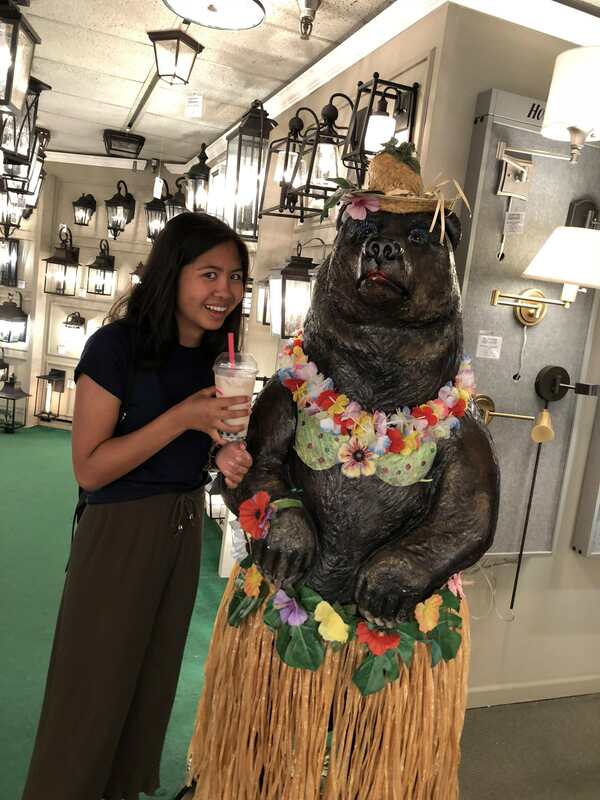 She is seen above, on the right, as well as with a bear with an attitude just as laid back and happy as her own. 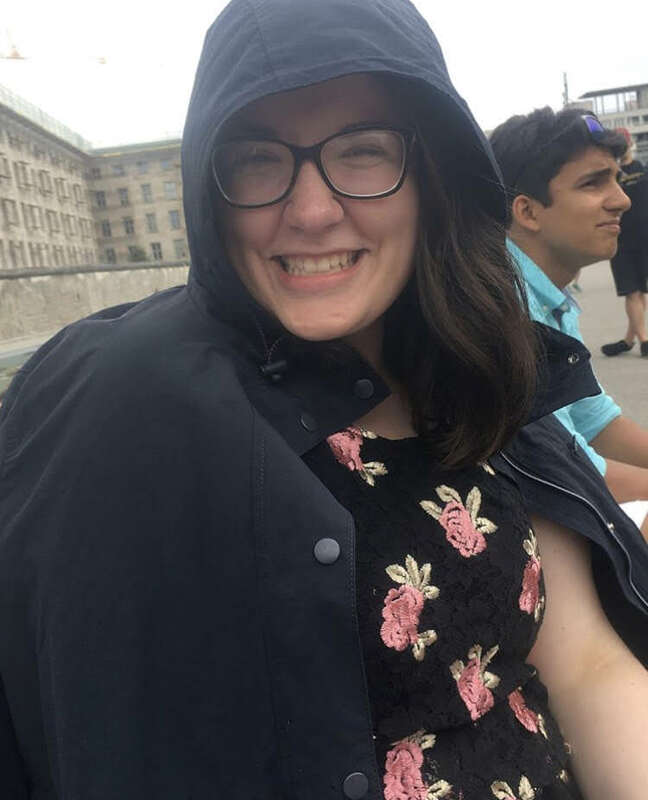 Britta Vaughan – Britta Vaughan is a junior at St. Ignatius and has been a member of SIMUN for three years. Outside of MUN, Britta is involved in choir and French Honors Society. Despite her name, she does not need a filter. She is looking forward to another year of traveling with her friends and to chairing her committee at SIMUN! She hopes that SIMUN makes you feel more like herself (right) in the first picture than the second. Max Wink Max Wink is a Senior at St. Ignatius and a third year SIMUN member. He can’t wait to make all kinds of ridiculous appearances in your committees along with his other Simulations Directors, GB and Nastya. When he’s not at the Music Box Theatre seeing four movies in one day, you can find him biking around as he avoids his friends’ offers to drive him. It might just be the amount of movie-based humor we make. He is by far SIMUN’s nicest executive board member. His is very adamant about men listening and Congess acting. 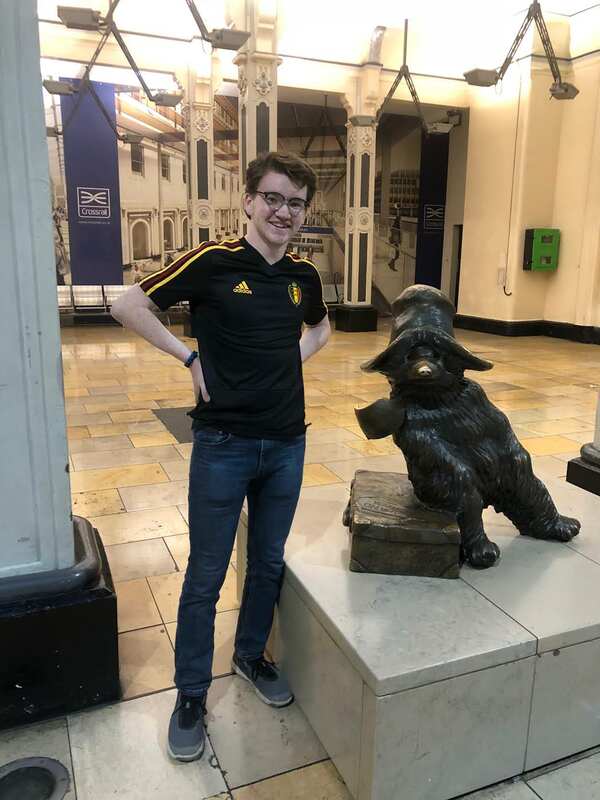 He is pictured above in Paddington Station in London visiting his his good friend Paddington the bear, star of the most wholesome movie ever made, Paddington 2. Also, believe it or not, he is the freshman in the second picture, holding his “Rising Star” trophy (flex). We think that Max has continued to rise, and we know he will shine as SIMS director this year. Nicholas Ziebert – Nicholas Ziebert is a junior at Saint Ignatius College Prep. This is his third year he has been apart of SIMUN. 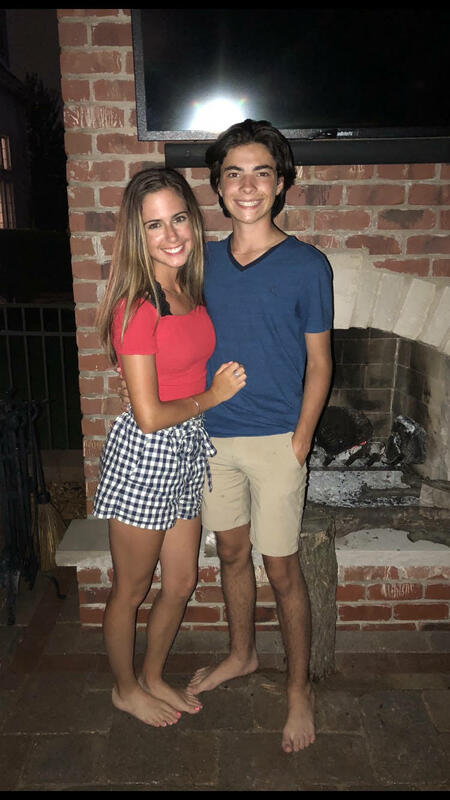 He enjoys golfing on weekends, playing with the his puppy Zo dog millionaire, bowling (non-competitively, of course), dominating in ping pong, and is an avid pianist. He is seen above, with the lovely Sydney Dea in the first picture, as well as looking like a lovely young lady himself in number two.